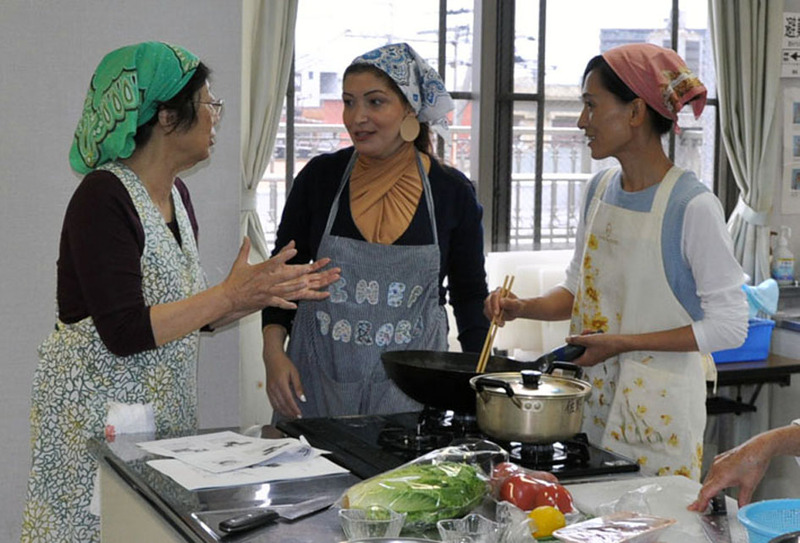 As part of the Islamic Culture Understanding Lecture, a cooking class was held by Syrian native and ica Japanese language student, Ms. Nagam. Twenty?people participated is this event. It looks like a cake! Ms. Nagam (center) observing the cooking progress at each table. ● It was surprising to hear that it was a regular dish. I want to eat it again. ● I was impressed when the maroba was done. The scent and shape were so attractive. ● Syria’s culture, language, etc. were also introduced and I became more interested in Syria. 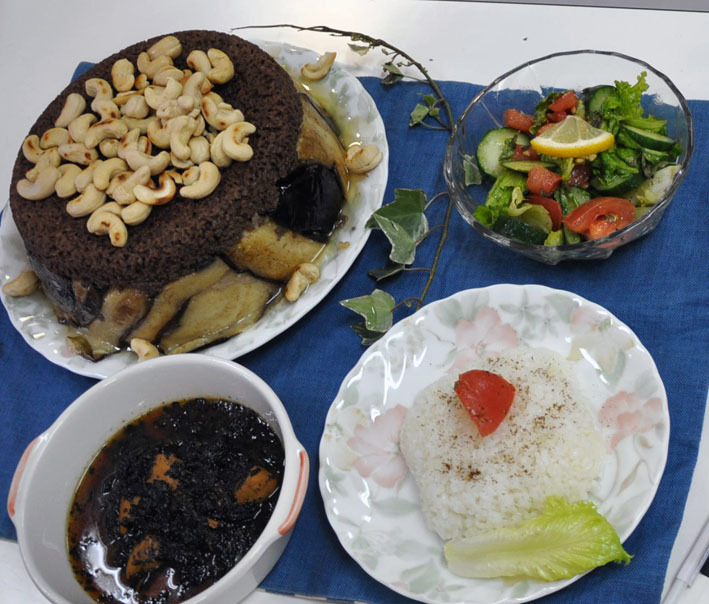 ● I was surprised to learn that rice is even eaten in Arab countries. I am happy to be able to have the ingredients close at hand. Spices are absolutely necessary! Should I buy some spices now?